Glaciers are melting quickly in many places. 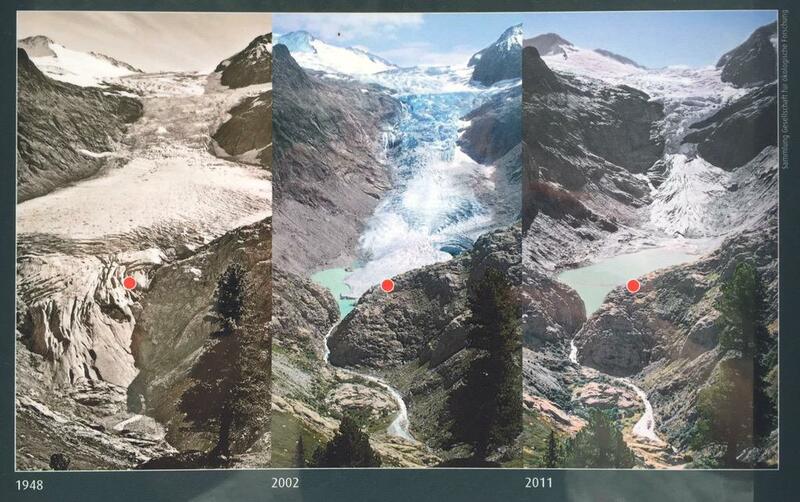 Grinnel Glacier- at the top, 1940, compared with the lower image from 2006. Repeat photography reveals this process. Mount Lyell is in Yosemite National Park, California. ....in many places, the centennial-scale retreat of the local glaciers does indeed constitute categorical evidence of climate change. In 2014, Exit Glacier in Alaska melted and retreated 57 metres toward the Harding ice field, which itself has lost 10 per cent of its mass since 1950. Easton Glacier in 1990, 2003 and 2015 from same location.